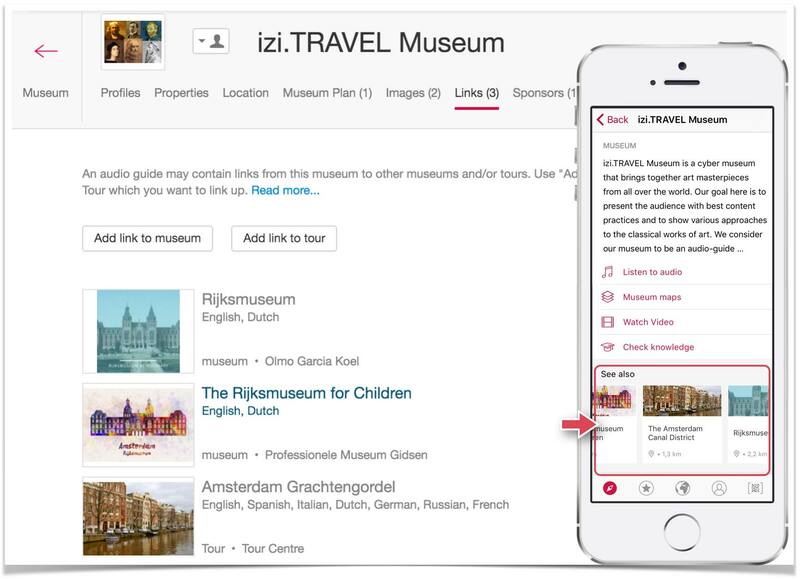 You can place on the museums, tours, exhibits or attractions pages of your audio guide links to other museums or tours from the izi.TRAVEL CMS database. In this way, you can recommend a visit to the museum or trying another tour. On the information screen related to the museum (or tour, exhibit or point of interest), under the description block, a set of links is shown. These links include the photo and name of another museum or tour. 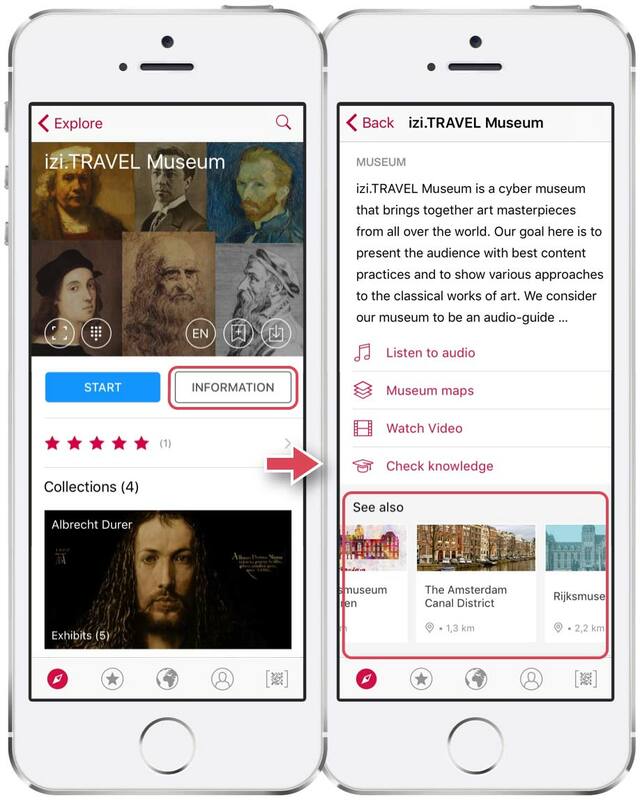 Tap on the link and another museum or tour will open in the mobile audio guide. 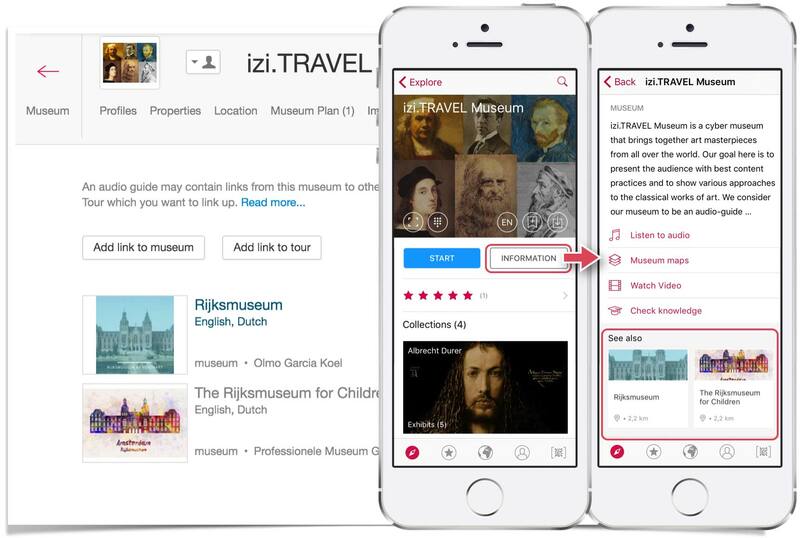 Links to museums and tours are set in the properties section of the object (museum, tour, exhibit or tourist attraction). 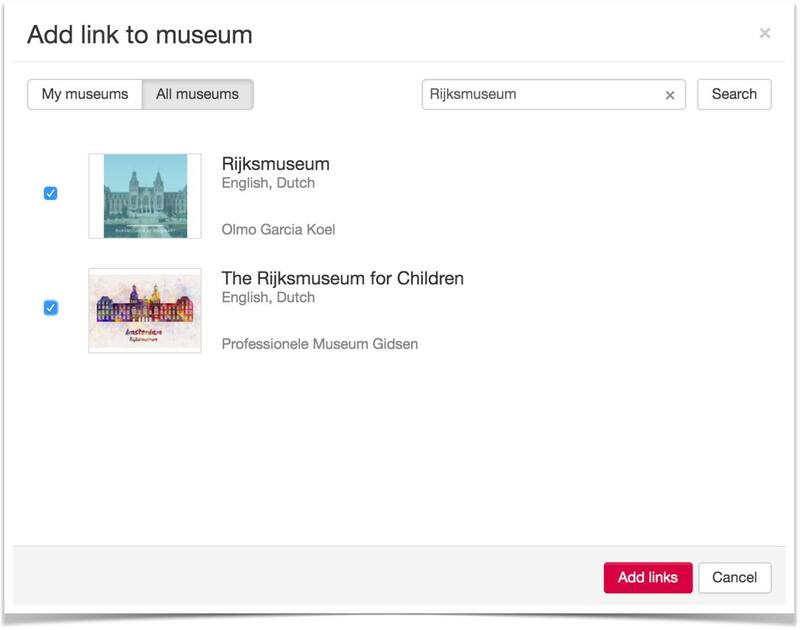 We give an example of how to add a link to a museum, because the same principles can be applied to other objects. 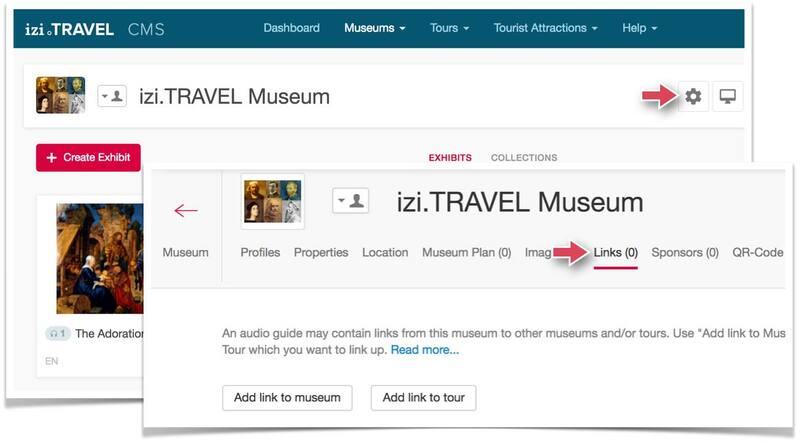 Go to the properties of the museum and open the “Links” section. To add a reference to the tour, click on “Add link to tour”. 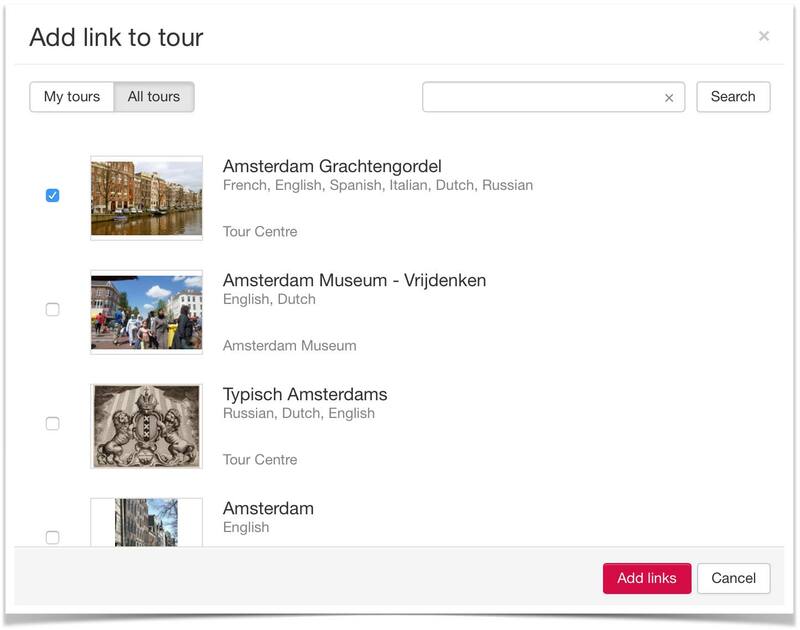 In the window which opens, select the tour and click on “Add”.